This is it. After a month of cheering, togetherness, dressing up, shedding some tears once in a while, drinking, eating and celebrating, we had to say goodbye to the 20th World Cup last Sunday, after invincible Germany took the victory from tough Argentina in a tight game. And I know, it’s hard to say goodbye. A lot of us are probably suffering from a post-World Cup hangover/depression right now, which is totally understandable. How could it be otherwise? 32 days, 64 matches across 32 teams from all over the world where 171 goals were scored in total. This could only result in one thing: the world had to go crazy. And the world went crazy. Extremely crazy. But how did we, Millennials, experience this event? 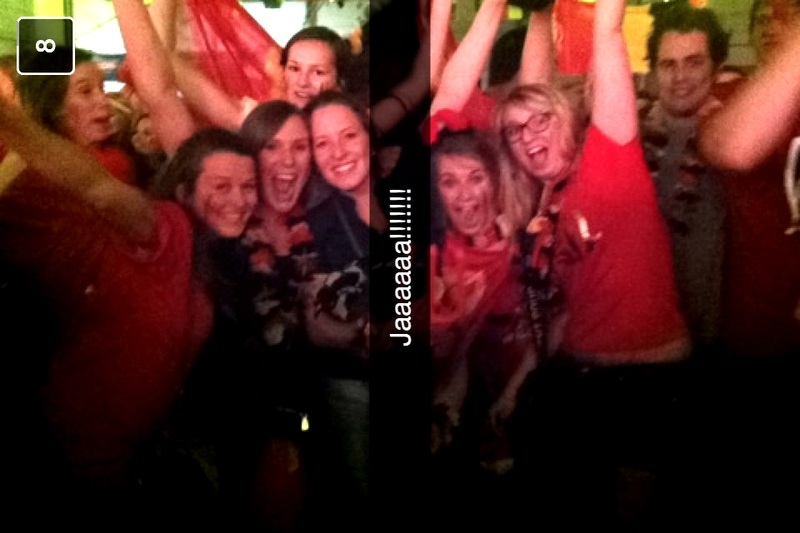 Well, we went crazy together with the rest of the world and got carried away by World Cup madness. In fact, we went most crazy of all, because according to a survey of Pew Research among 1000 Americans, 18 to 29 year olds cared more about the World Cup than anything and everything else during the past month (keeping in mind that US is not even that of a football country). Of course we would not be Millennials if we would not go crazy in style. The basis of this madness was cheering for your own country together, obviously. The more people came together and joined the experience, the better: people gathered at home, in the local pub, on the city central square, on the train or on the beach. It didn’t matter where you watched it, as long as you were united and connected with one underlying goal: cheering for the team. On top of that, we would not be Millennials if we wouldn’t share this World Cup madness with the world. Ask yourself this question: did you or did you not go crazy during the World Cup games, dressed in your country’s colors, cheering overenthusiastically whenever something exciting happened and posted evidence of all of this on Snapchat, Instagram, Facebook and/or Twitter? Don’t worry, you were definitely not the only one. I think all of our Twitter, Facebook, Instagram and other social media accounts have been taken over for a month with World Cup related comments, pictures and movies. And while thousands of Argentinean hearts were broken last Sunday, something else was broken at the same time: a social media record. During Sunday’s final, users set a new tweets-per-minute record in the final minutes after the game: sending 618,725 tweets every 60 seconds. The previous record was also generated in the same World Cup by the way. 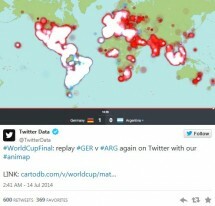 The already historic semi-final -where the world saw the home country Brazil being beaten by Germany in a whopping 7-1 – generated an equally 35,6 million tweets in just 2 hours. 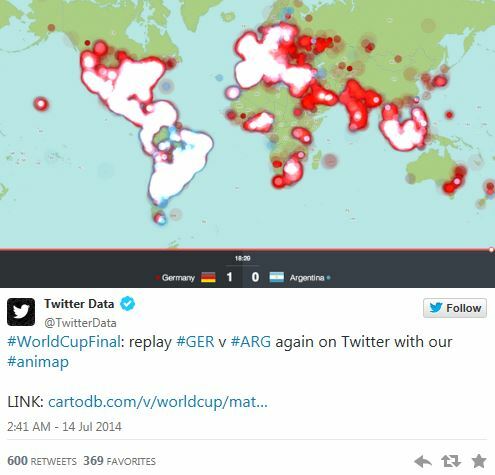 Here’s another social media record broken during the World Cup : the number of Facebook interactions, generating three billion interactions on the world’s largest social medium, from 350 million users around the world, making this World Cup the largest event –sports or otherwise- in Facebook history. Both the offline and online World Cup madness definitely actively contributed to making us even crazier about the event than we already were. However, there was still something else contributing to this madness: selfies. 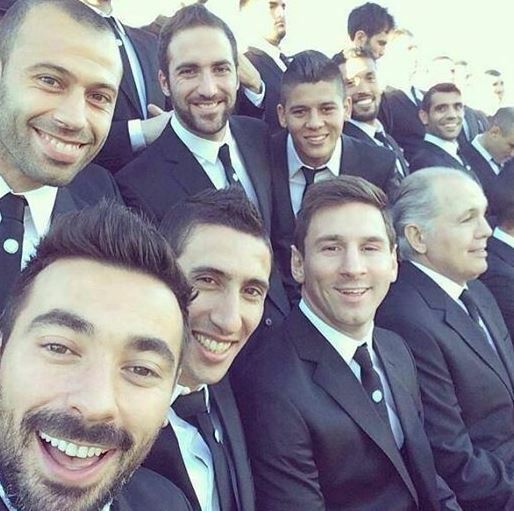 Not only did supporters post millions of World Cup selfies (yes, there were millions), but we could also enjoy the ones of the heroes of the World Cup themselves: the players. 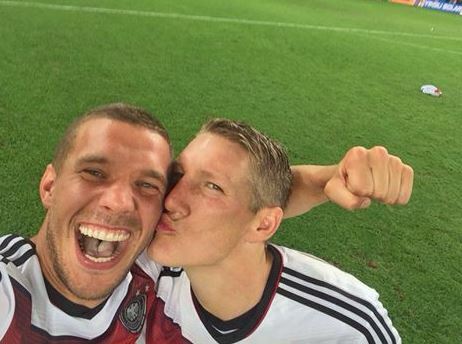 This World Cup, there was a selfie-hype going on across different football teams, including their wags. Before every training, game or trip to another Brazilian location, the main concern probably was: “but first, let me take a selfie”. 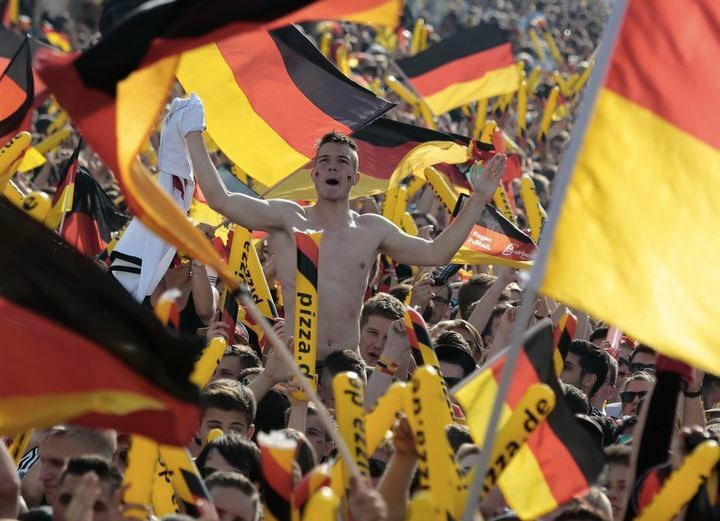 The fact that even one of the first pictures that appeared online right after Germany took the victory was a selfie, says enough. That’s also the reason why a lot of players and football teams were being omnipresent on various social media accounts as well: they want to get closer to their crazy, enthusiastic fans who cheer and go crazy for them. And we love it, of course we do. 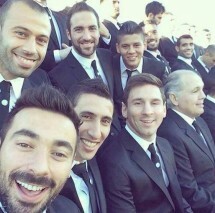 We love selfies, we love social media, and we loved the World Cup; Put all of this together and what do you get? Indeed, World Cup Millennial Madness. And I’m sorry if I’ve reinforced your post-World Cup depression by now. But no need to worry. In four years, the madness will be back in Russia, and I have a feeling it will be bigger than ever. In the meantime, you can relive this year’s madness here. Enjoy the goosebumps and let go of the emotions :).